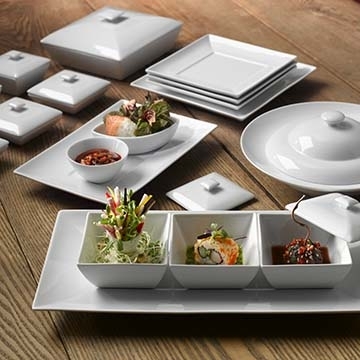 Steelite International & Rene Ozorio present a collection of elegance and versatility. Duo offers a delicate frame that beautifully portrays its grace. From rectangles and squares to individual bowls and casseroles, the components of the Duo collection can be used individually or in combination to create the perfect tablescape.